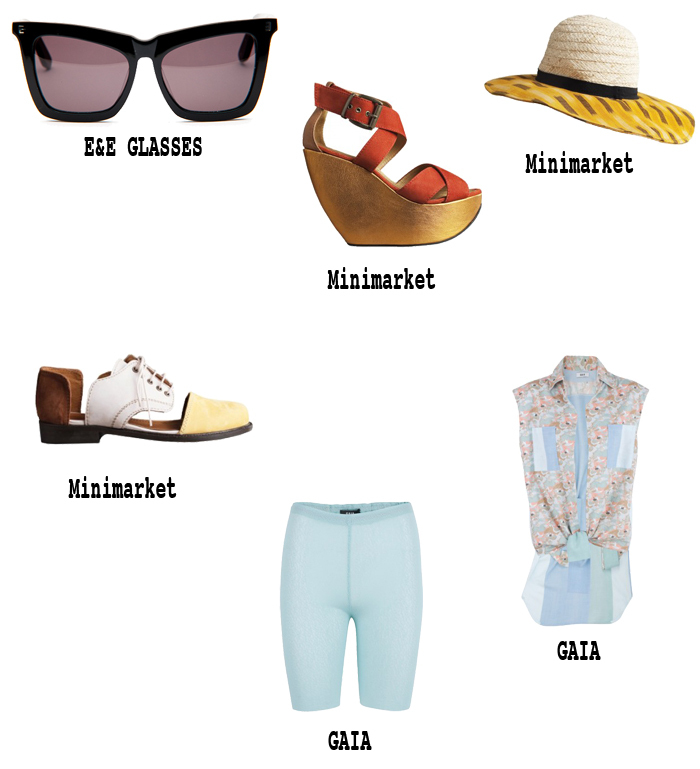 Create your own unique look with these summer pieces of E&E Glasses, Minimarket and Gaia. How to create your unique look. Wear the printed shirt with the bike shorts and the red sky-high platform wedge for a fresh stunning unique look. With every pieces you can create your own personal unique look. That's so great about these pieces. Mix these pieces with your own wardrobe like the printed sun hat and the black sungalsses with some boyfriend jeans and these cut out shoe. For a boyish look but still feminine. Be yourself be unique Blogger's Wardrobe.